Most mosaics in Jordan are really old; going back to as far as the 1st century AD. Mosaics had a decorative purpose and depicted scenes from the everyday life whereas mosaics in Churches depicted stories from the Bible. With the representation of living creatures forbidden in Ad 726 by Emperor Leo, most of the mosaics at that time were badly defaced. Those that remained intact are mosaics which had been hidden by another that was built above them. 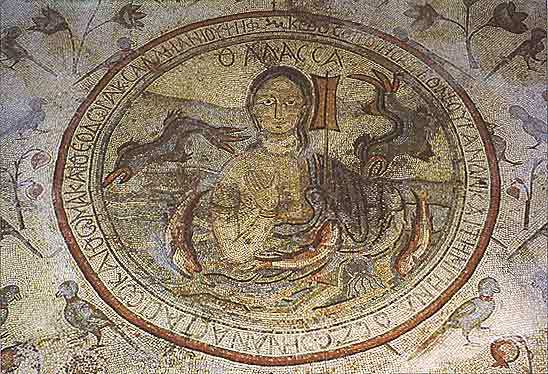 In Madaba, the best known mosaic is the map of the Holy Land which can be seen in the Church of St. George dating back to the 6th century. This Mosaic map was found in 1896 and attracted worldwide attention. If you get to visit, you will see a remnant of the original piece which measured 16 meters long by 6 meters wide. That’s 94 m2, of which 25 are preserved. It covers the entire area from the south to the north wall. Its purpose was probably to help pilgrims to find their way from one holy place to another. Archeologically, this map is of great importance since it has helped uncover sites like the site of Bethany. This map remains a mystery for many and still continues to raise many questions till the present day.